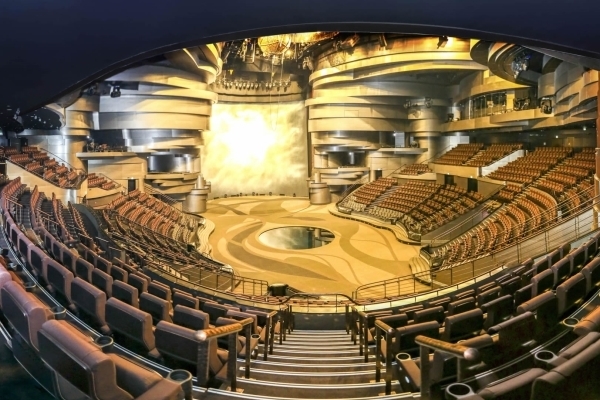 Al Habtoor Theatre, the home of Dubai’s #1 Show, La Perle, is officially available for venue hire. This unique and hi-tech venue can be utilized for a wide range of social and corporate events including award ceremonies, product launches and performances. It is the ideal venue to elevate your events, starting with a dedicated pre-function area for catered receptions up to 1,000 guests, to the magnificent auditorium featuring 1,288 premium seats, a state-of-the-art lighting and sound system and an innovative 860sqm stage. Situated in the heart of Dubai just off Sheikh Zayed Road and on the banks of the Dubai Water Canal, Al Habtoor Theatre is the perfect location, easily accessible for all. Surrounded by three 5* hotels, accommodation is readily available at Habtoor Palace, LXR Hotels & Resorts, V Hotel, Curio Collection by Hilton and Hilton Dubai Al Habtoor City.